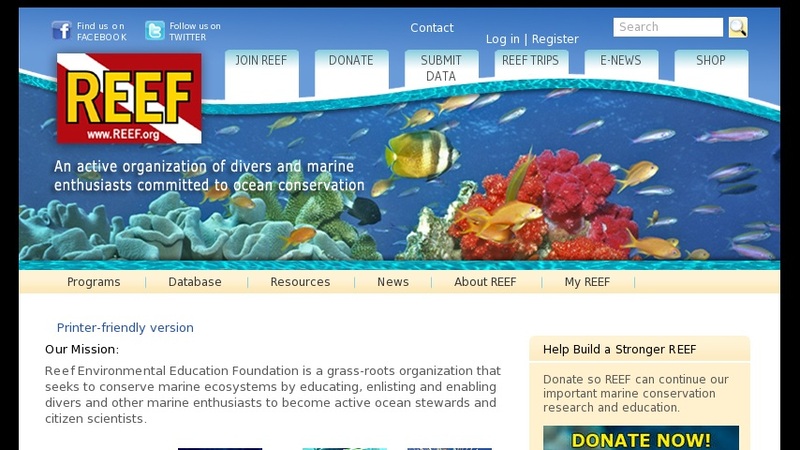 Contains information on REEF, an organization devoted to preserving marine life through education, research and involvement. It includes a fish gallery with images and information on a variety of tropical fish. Membership provides reduced-cost dive trips all over the world to conduct observational research while diving. New data is added daily from volunteers world-wide and is available for download for classroom activities.